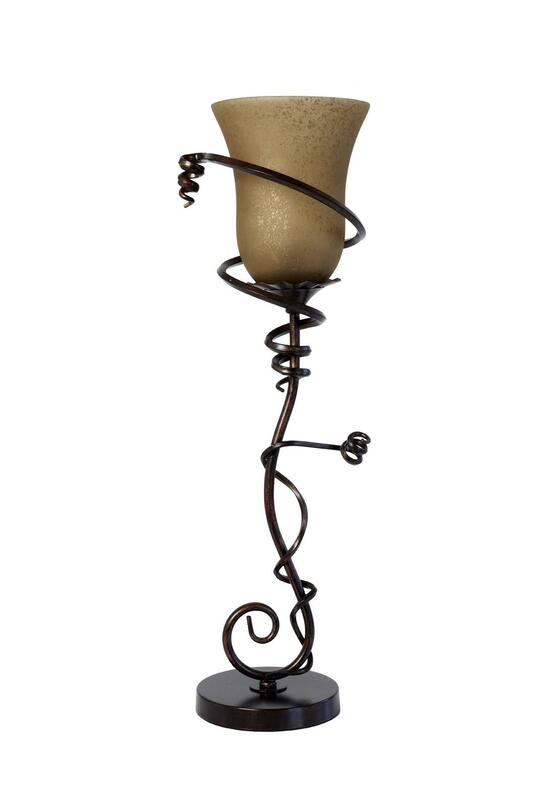 Mindy Brownes Interiors boast exciting collections in lighting, such as this climbing vine lamp that has a spiral metal stem, decorative metal base and a glass amber shade. 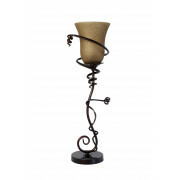 Homeowners its time to add some passion to your decor. Approximate Measurements: Height 27.5\" & Shade 7\"